Solitude is a basic human necessity. We all need it to thrive. Yet, in today’s frenzied pace of life it’s one of the most precious things that makes us human that often gets squeezed out of the hectic pace of our lives. In solitude, we find the rest and relaxation we need for both our physical and spiritual bodies. It’s also from this place of clarity, rest, and focus that we find ourselves the most productive, the most creative, and the most free to imagine possibilities unexplored. Quiet. It’s a staple in our home. The one thing that holds us all together. 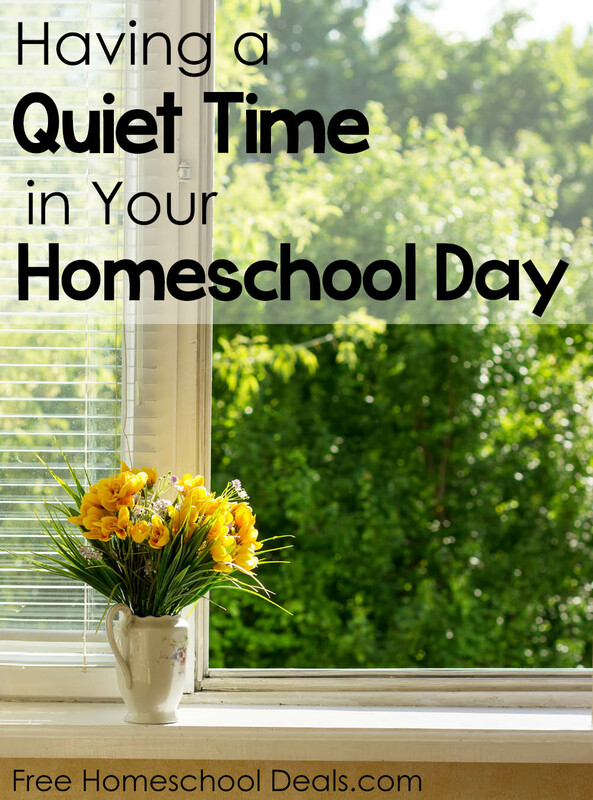 You see, in a homeschooling family where we spend every hour of every day together, though we are a social bunch, the tendency is to lean toward edginess and irritation if we all don’t take time alone to decompress. Usually we take an hour and a half in the center of our day, everyone to separate areas of the house. It really is what keeps us all centered. The boys have the time they want to play with toys, listen to stories, read a good book, draw, create, or just relax. It’s during this time that I see the car tracks on carpet, hear audible sounds of pretend play, and witness building masterpieces from logs and legos. For my children, quiet time is incredibly productive. It’s quite productive for me as well. Usually, during my quiet time I’m checking email, responding to comments on the blog, writing down ideas into my laptop before they escape my mind, putting finishing touches on tomorrow’s post, or just propping my feet up with a glass of iced tea. In the scope of the day, an hour and a half isn’t that long and it goes by pretty quickly. But, a much needed pause in the activity of our lives yields peaceful days and intentional nights. I know it’s tempting, and there are times when it’s just a necessity. But, my advice is to use screen time strategically or your kids will come to expect it on demand. Quiet time is something that your kids need just as much as you. Let them play. Let them think. Let them build and create. Let them get bored. Really. It’s okay for your kids to get bored. Most importantly, you are instilling rhythm and healthy habits into your children from the time they are young. You are teaching them, through your practice, the ebb and flow of work and rest. You are helping them to be self-sufficient (in the good sense of the word) knowing how to entertain themselves and not rely on other people and screen time toys to keep them free from boredom. You are also giving them a childhood that is free from rush with space to be, something your kids need just as much as you. As I am reading this post my youngest is constantly interrupting me with requests for screen time. When I say no he points out that he is bored and when I suggested play he said he has no one to play with. Your post has real relevance in my life right now. I am doing my best to implement quiet time. A notion which worked so well for my older four by my little (7 years old) just doesn’t seem to get. Thanks for keeping it fresh in my mind. We have quiet time everyday from 12-2pm. It is what keeps me sane. My kids do all their independent schoolwork during this time or they take a much needed nap. I feel like eveyone is in a much better mood when we have quiet time. It is a very nice and relaxing part of our day.